Fall $100 Giveaway from Minted! Halloween is just a month away! 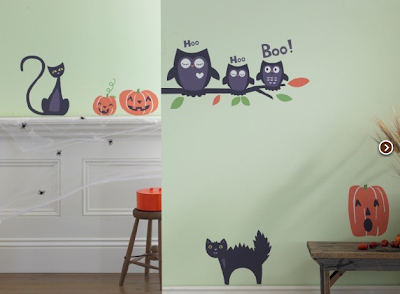 To get us into the spooky holiday spirit, we have a giveaway from WeeDecor. 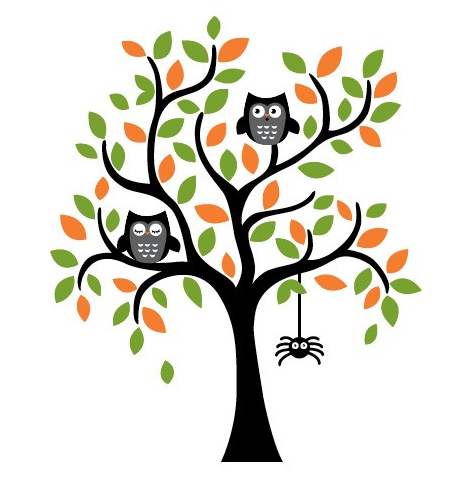 This removable spooky Halloween Tree decal is a playful way to bring Halloween into your child's room or playroom. The tree measures 40" wide by 48" tall and once Halloween is over just take off the owls and spider and you have a perfect Thanksgiving tree! To enter just leave your name and e-mail address in the comments below. Winner will be announced this weekend. Here are a few other Halloween decals from WeeDecor which I like. And now through Oct 1st, they are all on sale so stock up!